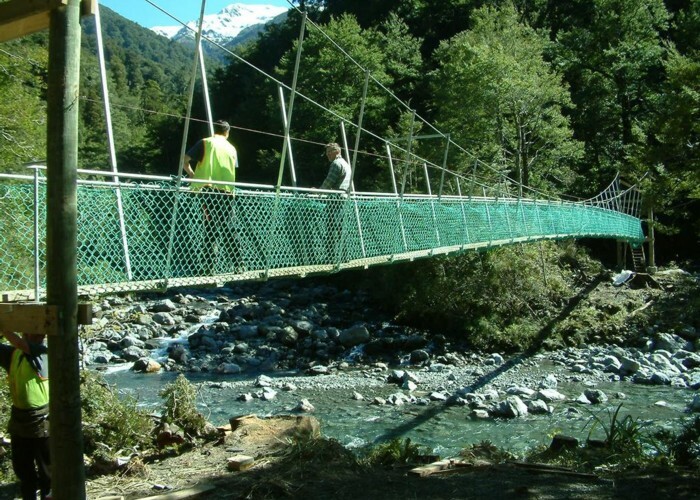 5 person bridge ,designed by A Dallas , DOC Engineer, built by Forrest Hills Construction (Miles Helberg) Replaces one washed out north of the hut, and situated 50m north of South Mitre stream. Bloke on bridge is Chris Tait who owns farm at the end of the Waingawa Road, access to park is through his property.Please leave gates as you find them. Added 16 October 2011 by OldGoatOldGoat. No revisions. 50 views in the past year (4 per month).